In our new series “Here Is the Best...” we’ll share our top beauty picks. Have a product you swear by? Send us an email. As part of the small eye crew, I’m automatically at a disadvantage with eyeliner. My eyes look barely open in pictures. Makeup experts are constantly telling us how to make our eyes larger, which seems to be the default desired look. And they also tend to advise against lining the lower lid because it makes our eyes appear even smaller. Whatever. I half-heartedly rebel against this. My eyes feel naked without at least something on my water line, but I also don’t want it looking like I just got done dancing in the rain. 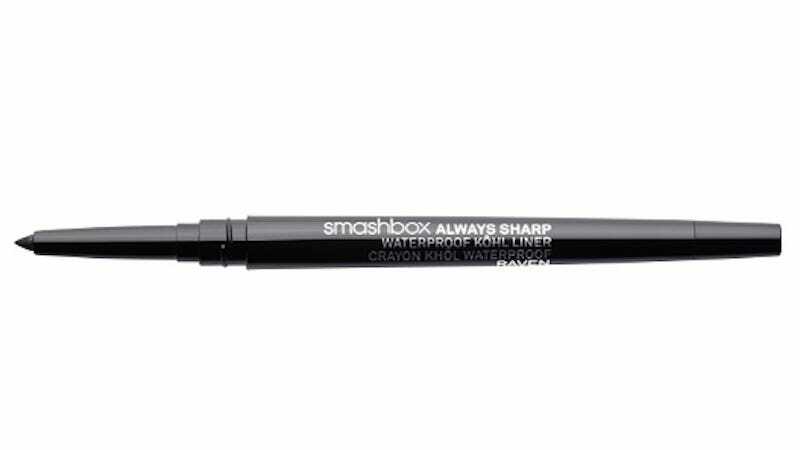 A sharp liner is crucial, and the most consistently efficient liner for me has been this Smashbox one. (My other fav, Marc Jacobs’ Highliner Gel Eye Crayon, is good for a dramatic smoky look but too severe for waterlining.) The reason Smashbox rules: it’s literally always sharp (as its name implies), except for a couple times when the pencil broke clean off and it was useless. Lots of liners come with cool packaging; for example where one side is a pencil and the other side is a smudge brush. This one is an actual savior because the sharpener is built into the cap, the definition of magic. Anytime the pencil gets too round—thus thwarting my desire for a sharp, non-smudgy line—I push the bottom of the pencil up a touch (it’s like pushing a pen). I twist on the cap and it sharpens. Again, via magic. I’ve been using this liner for about two years now because I do not like having to sharpen my pencils. This two-in-one liner essentially rewards my laziness.